Select SIZE Boys 06 Boys 10 / 24" Boys 12 / 26" Boys 14 / 28"
This Speedo favourite is perfect for having fun in the pool or at the beach whilst staying protected from the sun. Made from Endurance+, an exclusive Speedo fabric designed to last longer, it is 100% chlorine-resistant to prevent snagging and fading 20 times longer than any other swim fabric. This fabric also features 4 way stretch technology for added softness and comfort. 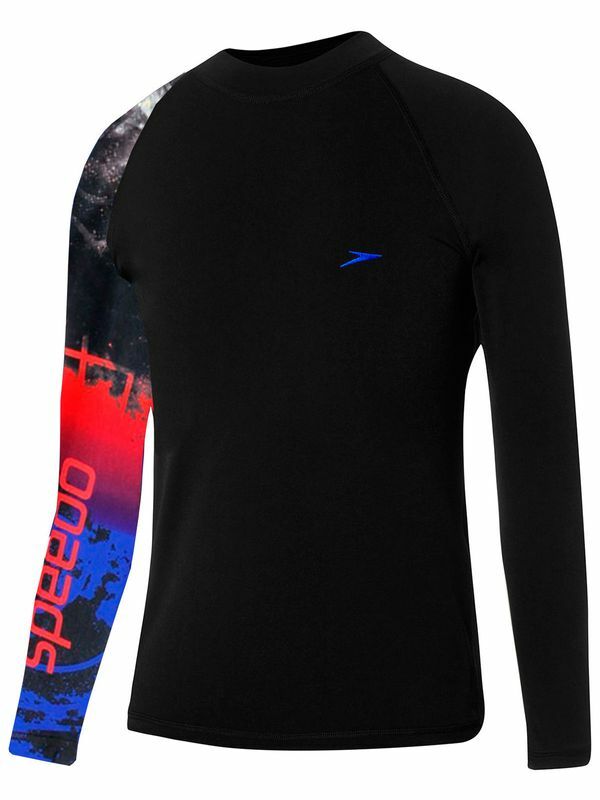 Dissect Long Sleeve Sun Top manufactured by Speedo Swimwear the worlds leading swimwear brand. Speedo is passionate about life in and around the water, creating revolutionary new technologies, designs and innovations.